Pub Crveni Rak (translation: Red Cancer) is the oldest pub in Zemun and well-known address for true beer lovers of all ages. In addition to the 14-year-long tradition, it makes this pub different from others is the specific atmosphere and the most diverse selection of draft and bottled beers in town. The interior of the pub is decorated in a retro mood, in accordance with the name, the venue is dominated by the red color . The space further complements the multitude of old photographs. There are various of old advertisements on the walls, antique furniture, original wall clocks Beautiful tile stove is providing warmth in the cold winter days. Capacity of the brewery Red Cancer is 50 seats. Only there you can try the all beers of Apatin brewery, as well as other well-known brands of domestic and foreign manufacturers. From their offer especially is recommended the famous Belgian beer Leffe Blonde and Leffe Brune. Those beers are made according to a traditional recipe from 1240. 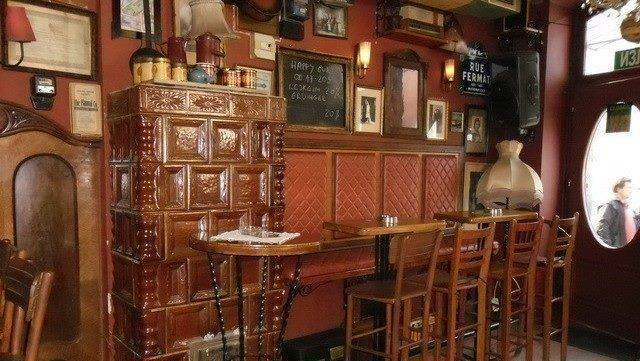 Except to the excellent offer of beer, the beautiful interior of the pub Red Cancer, guest can also enjoy a wide selection of coffees and hot drinks. Pub Crveni Rak is widely known and it is really important pub of Belgrade nightlife. All guests can enjoy an unique musical repertoire that includes the slightly different treatment of well-known songs performed by their band.